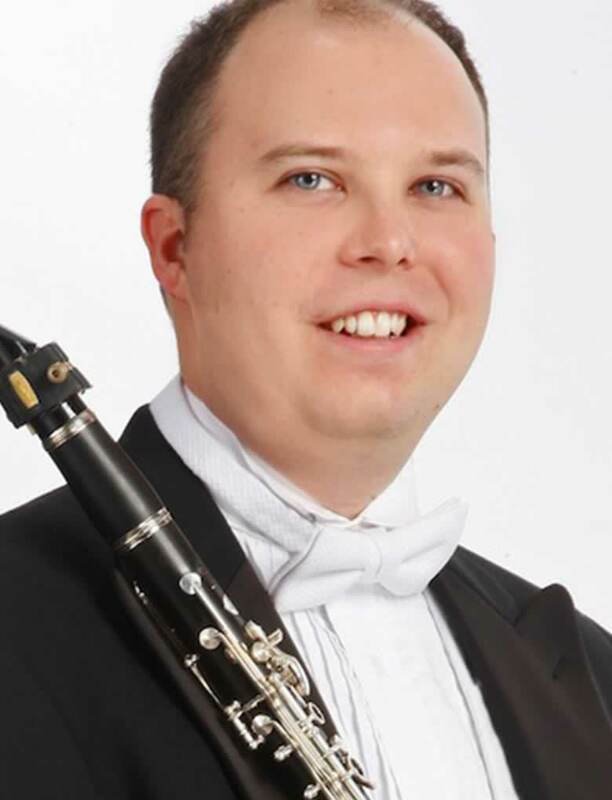 Clarinetist Patrick Graham joined the Orlando Philharmonic Orchestra in September 2009. He has been heard on Canada’s national CBC Radio as well as Chicago’s WFMT Radio. As a recitalist Patrick has played many solo and chamber recitals in both the United States and Canada. He is frequently heard with the Naples Philharmonic, The Florida Orchestra, the Sarasota Orchestra and has also been heard with the Moscow State Radio Symphony Orchestra, Canada’s National Arts Center Orchestra, the Brevard Symphony Orchestra, the Ottawa Symphony Orchestra, and the Southwest Florida Symphony Orchestra. Patrick has appeared as soloist with Northwestern University’s Symphonic Wind Ensemble and at the Pontiac Enchanté chamber music festival in Quebec, Canada. A native of Ottawa, Canada, Patrick began his clarinet studies with Peter Smith of the National Arts Center Orchestra. He completed his Bachelor of Music degree at the University of Ottawa where he studied with Kimball Sykes, Principal Clarinet of the National Arts Center Orchestra. Patrick earned his Master of Music degree at Northwestern University in Chicago under the guidance of Steve Cohen and Lawrie Bloom of the Chicago Symphony Orchestra. Patrick has also spent two summers as a fellow of the Tanglewood Music Center Orchestra. A passionate educator, Patrick is on faculty at Rollins College and teaches privately in Orlando. He has also been on faculty at Brevard Community College, and the Non-Major Department at Northwestern University. He has given master classes at the University of Florida, the University of Central Florida and the University of Southern Florida and Bethune-Cookman University. Patrick has also helped develop “Clarinet Fingerings,” a helpful reference app for Apple devices available on iTunes. Patrick is proud to have the distinction of being selected as the winner of the 2012 International Clarinet Association Orchestra Audition Competition. Visit patrick-graham.com for more information.